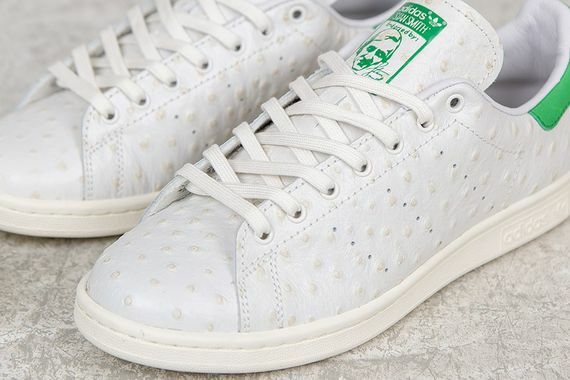 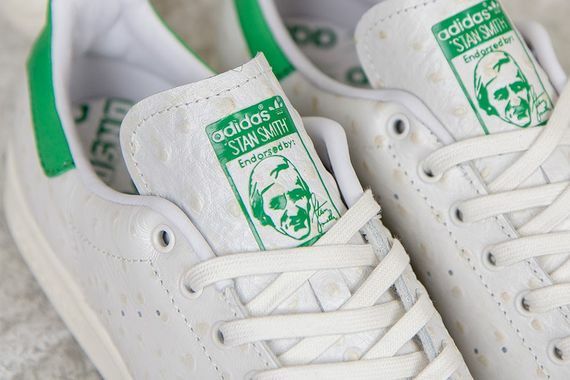 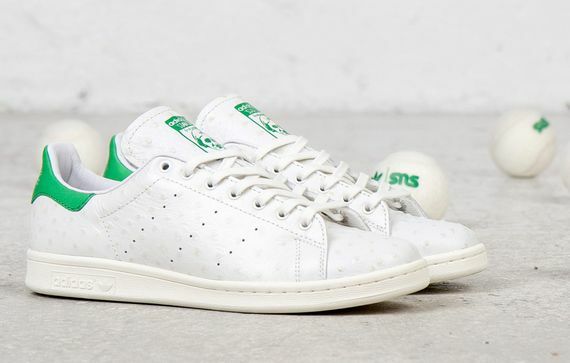 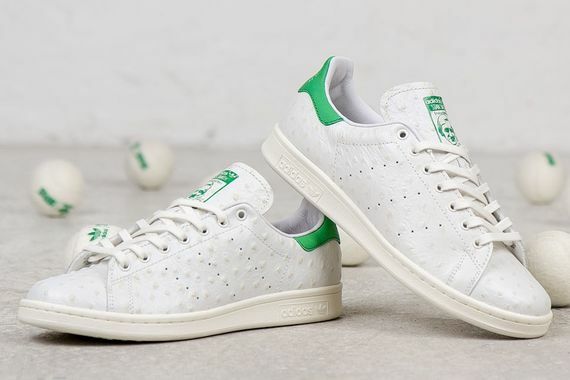 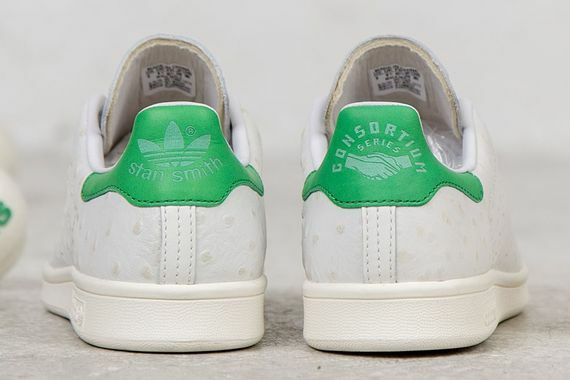 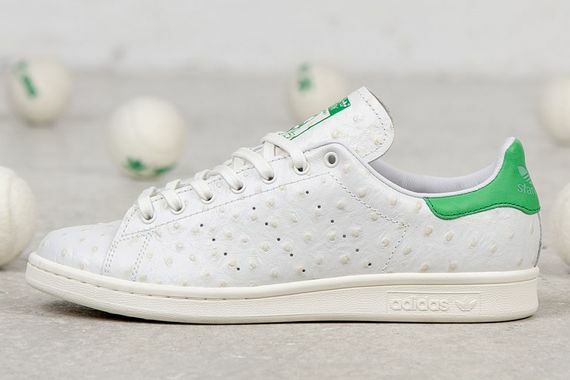 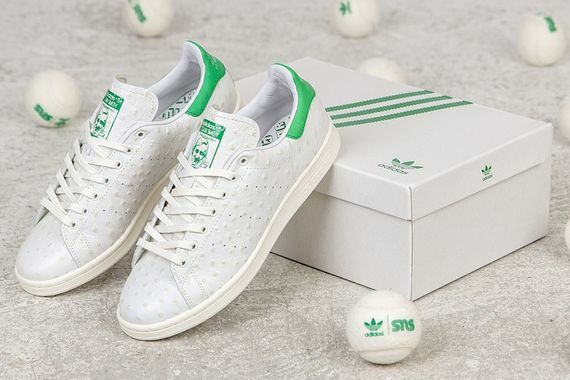 adidas Consortium Stan Smith "Fairway Ostrich"
The latest piece from the Consortium pack to get some glamor shots is the “Ostrich” rendition, and this one will have you digging your head out of the sand to catch a glimpse (check that sentence out). 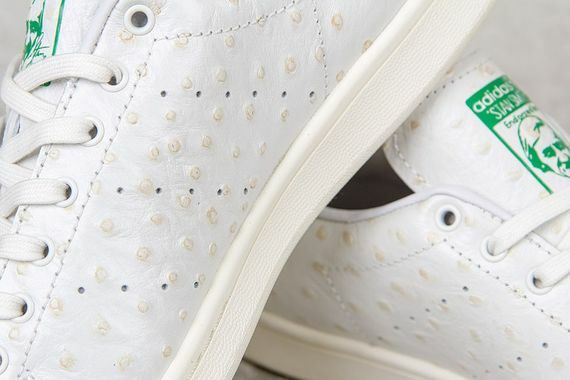 The all-over Ostrich leather gives these a texture like no other, yet stays in the white/green tradition you’ve come to know, love and expect. 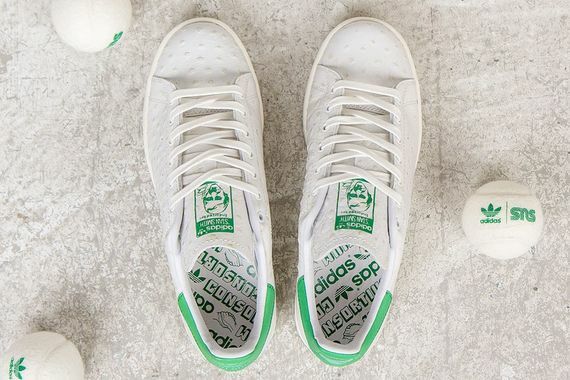 This simple twist will be up for grabs here and here in the coming days.